View of New York from the Metropolitan Museum of Modern Art – the last day in NY. The Marjorie Deane International Summer School is an educational journey through the top news trends in the global economy, guided by leading journalists, academics and financial analysts. Part of the Masters in Financial Journalism at City, University of London, the summer school provides an essential grounding for reporters covering a globalized business world. “The Marjorie Deane summer school is a unique opportunity to understand the workings of the world financial system. It will be of immense use to financial journalists in their future careers in an increasingly globalized world. 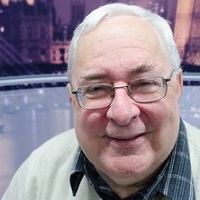 Professor Steve Schifferes, who runs the MA Financial Journalism course at City. City collaborates with China’s prestigious Fudan University in Shanghai and New York University in the United States to provide expert tuition during the overseas visits, with travel subsidized by the Marjorie Deane Financial Journalism Foundation. 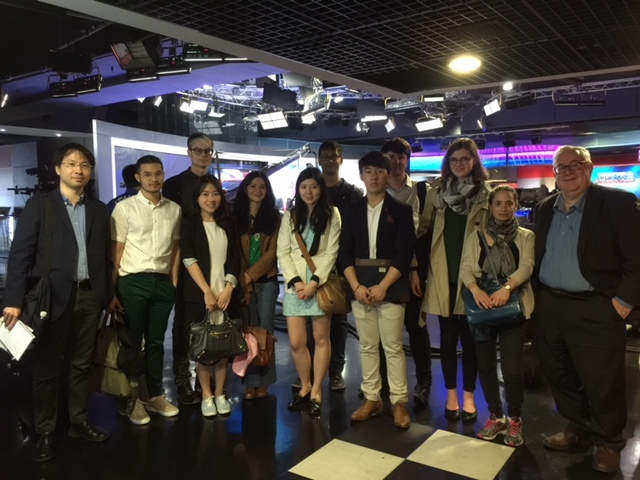 The 2016 summer school brought students into contact with 15 economists or financial analysts and more than 20 senior journalists from traditional and digital media brands in the world’s leading financial centres. In London, Deutsche Bank UK strategist Oliver Harvey, Economist editors John Peet, Helen Joyce and John Prideaux, and a range of other experts on the implications of the UK’s EU referendum. In Shanghai, prominent economist Yin Xiangshuo, Reuters bureau chief John Ruwitch and officials from China’s ecommerce giant Alibaba. In New York, professors from New York University’s Stern Business School, New York Times CEO Mark Thompson, Wall Street Journal Editor in Chief Gerard Baker and Bloomberg co-founder Matt Winkler. In Washington, senior editors from the Panama Papers team at the International Consortium of Investigative Journalists, reporters from the Washington Post, and officials from the International Monetary Fund. “The Marjorie Deane Summer School gave me a once-in-a-lifetime opportunity of immersion in the world of financial journalism. Set in the financial capitals of the East and West, the programme is truly global, allowing participants a panoramic view of the world economy and its coverage. “The summer school took me to the most important cities in the world economy. It was amazing to be able to compare London, Europe’s financial hub, to financial centres in Asia and the United States. For more information about the Marjorie Deane summer school or the Masters in Financial Journalism, please contact Steve Schifferes.